What are the fees for each event? After 9/1 goes up $5 each. Race day it goes up another $5 each. Yes! If you’re like to volunteer for the New Hampshire Marathon, please click here to register! Packet pick-up / runner check in is located at the Newfound Memorial Middle School (NMMS), located at 155 N. Main St., Bristol, NH 03222. Marathon & 10K begin right near where registration takes place at the Newfound Memorial Middle School (NMMS), located at 155 N. Main St., Bristol, NH 03222. Out in front of the school on Lake St. Marathoners line up on the left hand side of the road and 10Kers line up on the right hand side of the road. The Half Marathon starts out past Sculptured Rocks in Hebron. We use school buses to shuttle runners out to the start. Buses leave from registration at 8am SHARP! What kind of “goodies” do runners get? All entries before August 31 receive a free long-sleeved sport-tek shirt. Of course all entries receive goodie bags! Contents differ each year, but our sponsor often include coupons, gifts & more! Are there any pre-race events? The NH Marathon will use the Chrono Track Systems B-Tag to time all runners. The single-use timing mechanism is on the back of the bib, therefore, the bib number cannot be folded or altered and must be worn on the outer most layer of clothing on the front of the body. This device will track all runners finish time as they cross the finish line mat. The start time is off of the gun as we don’t have start mats down. Do you allow for early starts? Yes, however only if you feel you can not complete the course in our seven hour limit and have arranged for the early start in advance. Runners starting early will not have support on course until after the official race begins. We ask runners to be done in 7 hours. We have an army of volunteers out there at the water stops, aid stations, finish line & chase vehicle, and in order to support them and be respectful, we must adhere to a 7 hour limit. Runners on the course after 7 hours can finish unsupported. Is the NH Marathon a USATF Certified course? Is the NH Marathon a Boston Qualifier? Can I switch from one race to another? Yes, registered runners may switch events at any time before the race. There is no partial refund for those who switch from the marathon to the half marathon or the half to the 10K. 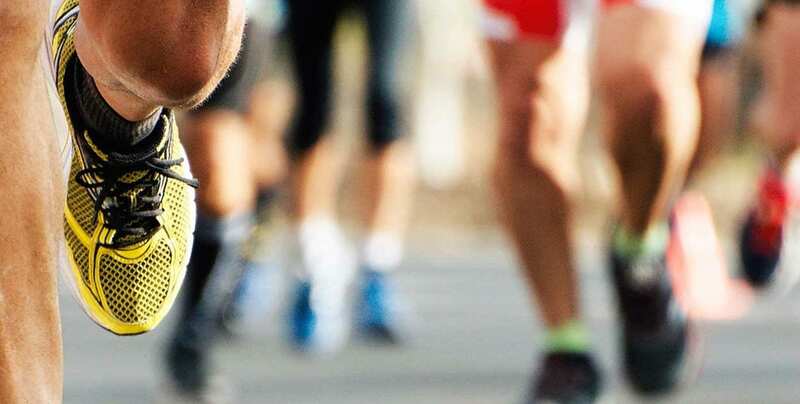 Those who switch from 10k to half or the half marathon to the marathon will be asked to pay the additional fee to account for the difference between the two entry fees. If you wish to switch events, please e-mail [email protected]. Anyone who switches events on their own without notifying the proper race officials may be omitted from the official results. What if I can’t make the race, can I roll it over or get a refund? Contact the race director at [email protected]. What if I can’t make the race, can I still donate to your charities? Yes you can, and it would be very appreciated! Click here to get to our registration page for the race where there is a donate option as well! On race day, we ask runners to drive to the start area and be directed by our parking attendants to the nearest available parking spot. The address for the start / registration is 155 North Main St. Bristol, NH 03222. Can a friend or family member pick up my race packet? Yes, but you’ll need to provide a signed note giving someone permission to pick up your packet. Are shower and/or locker rooms facilities available? Yes, Locker rooms and showers are located in the Middle School. Runners are responsible for providing their own towels and toiletries. Are any roads closed for the race? Lake St. will be closed for the start of the Marathon & 10K. This is the ONLY road closure and it only last for the first 10-15 minutes of the race. Runners must be aware of the open roads and proceed with caution. The NH Marathon committee will post plenty of caution signs on the road to alert traffic of the race. Is there a baggage check? YES, for half marathoners we offer a baggage check. Runners must leave their belongings in their LABELED runner’s bag on the bus that drops them off at the start. All bags will be brought back to where the runners check in and remain available for runners to pick up until the last runner comes in down in the Middle School Cafeteria. We do not offer a baggage check for marathoners or 10kers but they the cafeteria will remain open for the duration of the race and many runners will leave their belongings there. The NH Marathon is not responsible for any lost or damaged items! Medical personnel will be available at the finish line. If runners need attention on the course, they should notify the nearest water station or road safety person they see. Where are the water stops, and are sports drinks available? Water and Gatorade (lemon-lime) will be available at each aid station. The stations are situated approximately every two miles. Click here for the map. Yes, there are port-a-potties at the start/finish line areas as well as several on the course. Click here for the map. Yes! The Solitary Man has been performing at the finish for years and the runners love him! Also many runners will go to one of our local restaurants after the race – see a list of restaurants on our hospitality page. Will there be post-race food and beverages? Yes, Post-race food and beverages will be available at the finish line for runners only. PIZZA, fruit & more… We ask that you not get food for family and friends so that runners who may finish after you also have the opportunity to replenish themselves. In addition, Kathleen’s Irish Pub offers a free beer to all participants that show their race bib and are over the age of 21 years old. Will there massages available for the runners? This varies from year to year depending on if we can get volunteers to help! When will the awards be given? The awards ceremony for each race will began as soon as we have accurately confirmed the results, in the finish line area. Runners who have won an award but are not able to stay for the awards ceremony can ask to receive their award before the ceremony. Please check in at the awards tent near the finish line. What is the prize purse? 27th Running of The New Hampshire Marathon! 2018 Top Ten Results Half Marathon Women's Course Record Broken!